As someone very familiar with the situation in the region, Deputy Assistant Secretary at U.S. Department of State Bureau of European and Eurasian Affairs for the Western Balkans Mr Matthew Palmer, believes that it’s high time for an agreement to be reached between Belgrade and Priština, while he reminds us of the message of U.S. President Donald Trump suggesting that negotiators should use this “historic opportunity” to reach the agreement. CorD Magazine’s interlocutor also confirms that, for the United States of America, Kosovo is an independent state. 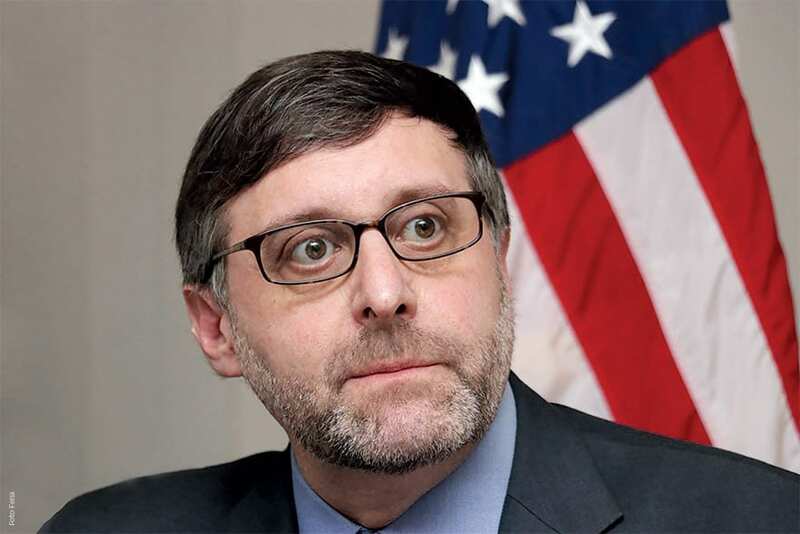 Efforts to safeguard the future of Kosovo have been exerted by “thousands of U.S. diplomats and soldiers”, as was written in a kind of protest letter to the Priština authorities that were co-authored by Matthew Palmer and sent in response to Kosovo’s decision to introduce import taxes on goods entering Kosovo from central Serbia. In this interview for CorD Magazine, Palmer calls on both sides to avoid steps that make compromise more difficult. Mr Palmer, could you shed light on the current position and role of the United States in the dialogue on the normalisation of relations between Belgrade and Priština? Although the United States is not a party to the negotiations, we strongly support the EU-facilitated dialogue between Belgrade and Priština. Normalisation is essential to both countries’ European aspirations. Kosovo and Serbia should reach an agreement that is implementable, durable and does not create instability in either country or the region. We will seriously consider any agreement that meets these conditions. Would you agree with the statement that “the United States, like no one else, should not dictate how that [the solution to the Kosovo problem] should look”? The media attributed to you the co-authorship of a letter sent on behalf of the United States to the Kosovo Albanians in which disagreement is expressed with the policy of sharpening relations with Belgrade by introducing taxes on goods from Serbia. That letter also contains a reminder that “Kosovo’s struggle for freedom won over the imagination of Americans” and that “thousands of U.S. diplomats and soldiers were personally involved in efforts to build a future for Kosovo”. President Donald Trump has also written about the U.S.’s great investment in Kosovo’s independence. Can the U.S., under such conditions, be an objective aid in finding the best solution for relations between Serbs and Albanians? The United States remains committed to Kosovo’s independence and sovereignty, and to partnering with Kosovo and Serbia where our goals align. We see Serbia and Kosovo as two sovereign nations who can and should make decisions in their own best interest. We believe the interests of both countries are best served through a bilateral agreement that would provide for a comprehensive normalisation of relations centred on mutual recognition. We don’t take sides or offer ready-made solutions. The EU is the facilitator of the Dialogue, and we stand ready to be helpful in that process. President Trump has written that it would be extremely regrettable to miss this unique opportunity for peace, security and economic growth. Both countries will benefit from an agreement, and both countries stand to lose if no deal is reached. A frozen conflict would undermine our shared goal of a stable, secure and prosperous Western Balkans. How would you comment on the fact that, even after multiple requests from the United States, the government in Priština hasn’t heeded advice to abolish duties on goods coming from central Serbia? Belgrade and Priština both need to avoid steps that make compromise more difficult. We believe these tariffs are counterproductive. Neither side should seek tactical success at the expense of the strategic goal. Without both parties at the negotiating table, the Dialogue cannot move forward, and neither country can progress on its European path. It is high time for Serbia and Kosovo to take steps to build confidence in the negotiating process and to work together for a better future for both countries and the region. As we look at the next steps, it is essential that Kosovo and Serbia avoid provocations, de-escalate tensions and rhetoric, and cooperate on the measure that enhances the safety and security of the citizens of both countries. On what basis do you hope that an agreement between Belgrade and Priština will be reached by the end of the year, as you have announced to the media? I believe there is a growing realisation that the time is overdue to resolve disputes of the past and to turn to build a better future. The normalisation of relations would open a clear path for both Serbia and Kosovo, as they work towards membership in the European Union. I reject the idea that the future of the Balkan Peninsula is defined by its past century of conflict. The people of Serbia and Kosovo and the wider Balkan region deserve the same stable, peaceful future as Germany, France, Portugal or any other European nation. This year marks the 20th anniversary of the Rambouillet Conference. Do you consider that the issue of relations between Belgrade and Priština could be resolved at some similar international conference? As I said, this must be a locally-owned process if the agreement is to endure. The so-called Great Powers are not going to swoop in and resolve this issue for them. Belgrade and Priština can find a solution. President Vučić recently posed the rhetorical question, “What is the alternative to negotiations?” I completely agree. You have amassed diplomatic experience in the region over many decades. How would you evaluate the situation in the Western Balkans today; and what do you consider as the biggest challenges? The Western Balkans faces stark challenges: corruption, the weak rule of law, anaemic economic growth, violent extremism, ethnic tensions and threats to democratic norms. I am optimistic that these problems can be resolved if addressed cooperatively and adequately. Just look at the example of North Macedonia and Greece – two countries with long-standing differences that came together on an agreement that allows them both to move forward. Meanwhile, external, malign actors, including Russia, work to perpetuate divisions in the region – divisions that run at cross-purposes to the goals and objectives that the countries of the region have set for themselves. In the context of regional cooperation, how do you see the invitation of current Kosovo Assembly Chairman Kadri Veseli for Montenegro and North Macedonia to form an alliance against Serbia? Any rhetoric that creates or perpetuates divisions is unwelcome and self-defeating. Instead, we encourage constructive cooperation among all in the region. The United States strongly supports the EU integration goals of the entire Western Balkans, as well as NATO membership for all who aspire to join the Alliance. A prosperous and peaceful Balkans fully integrated into the Western community of nations is our vision for the region. Given that one of your professional tasks in the region is to work towards the integration of countries that are not yet members of “Euro-Atlantic structures”, do you consider that insisting on speeding up the issue of B-H’s membership in NATO, which is opposed by the Republika Srpska entity, could prove to be an additional cause of misunderstanding between that country’s two entities? Pursuing membership is a sovereign choice. Nobody is pushing Bosnia and Herzegovina to join NATO. Nobody is pushing Serbia to join NATO. Nobody is forcing anyone to join NATO. NATO promotes democratic values, ensures collective security and enables members to cooperate on defence. Shared values are the foundation of NATO — democracy, individual liberty, the rule of law. Bosnia and Herzegovina, like any other country, will always be in complete control of its NATO policy. The 2018 Foreign Policy Strategy of Bosnia and Herzegovina – approved by all three members of the Presidency – clearly articulated the goal of greater partnership and cooperation with NATO, because of the benefits.